Optimism and patience. I found that as leaders move to larger and larger organizations, the challenges they deal with naturally get tougher and tougher. In turn, as it gets harder to be optimistic, it actually gets exponentially more important. Large groups clearly take on the personality of their leadership. The catch is that when the organization gets big, often that happens out of sight and earshot of the leader, so it gets easy to forget the impact of things like body language in meetings and random breakroom conversations. Those things always matter and need to be remembered. 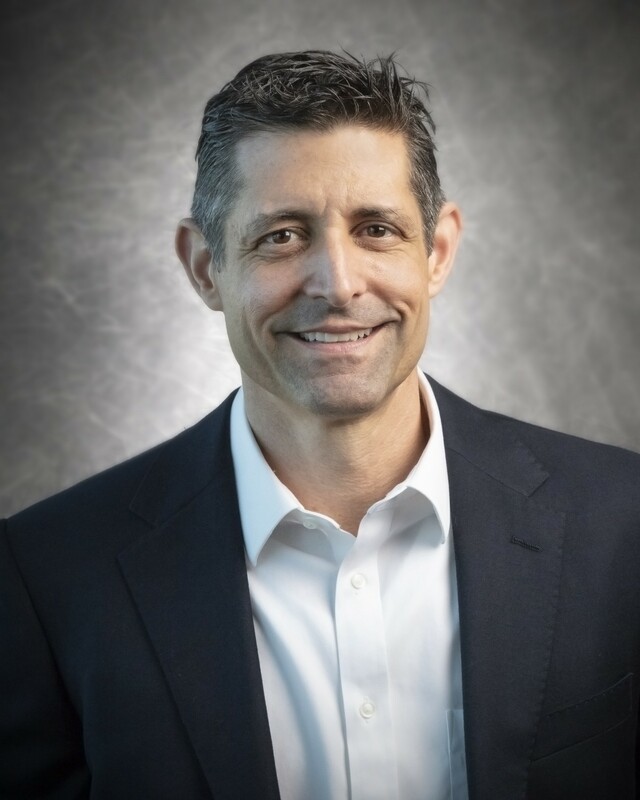 As a part of my series about “Life and Leadership Lessons Learned In The Military”, I had the pleasure of interviewing Dan Talati, the Chief Strategy Officer of AEVEX Aerospace. Prior to joining AEVEX, Dan spent 27 years in the U.S. Air Force, culminating at the rank of Colonel. At AEVEX, he leverages his expertise in airborne operations, government procurement, and strategic planning to help formulate and execute the company’s alignment and growth strategies. Dan previously served at Headquarters, Air Combat Command as the Deputy Assistant Director of Plans, Programs and Requirements, ensuring the readiness and lethality of the USAF’s 2,800 combat forces aircraft. Earlier, he was an Operations Group Commander at Robins Air Force Base, where he led 800 active duty personnel operating the Joint Surveillance Target Attack Radar System aircraft. He has logged over 2,000 hours in various Air Force aircraft. Dan graduated from Purdue University and was commissioned there through the Reserve Officer Training Corps. He holds Masters degrees from the Air Force Air War College, Naval War College, and the University of Oklahoma. I grew up in blue-collar Fort Wayne, Indiana. Looking back, I’d say one of the defining things about my childhood was that my father was an Indian immigrant — that always added a unique perspective to my world. I didn’t really understand it fully at the time, but my dad infused not just a love of our country, but also a real appreciation for things that many of us just take for granted. As a little example, one time when I was a kid I was drinking water from a garden hose. He looks at me, shakes his head, and explains that Americans will never realize how lucky we are to just turn on a faucet whenever we want and safely drink the water. I’ll never forget that. I’ve got the best job in the world in a truly spectacular company. I’m the Chief Strategy Officer at AEVEX Aerospace, a mid-sized defense sector company specializing in Intelligence, Surveillance, and Reconnaissance (ISR). I’m unbelievably fortunate to be on a team whose focus is making the world a safer place. It really made my transition from the military incredibly smooth…it honestly feels more like a continuation than a transition. More specifically, I coordinate with the CEO and leadership team to craft our strategic posture within our target market. Internally, I try to ensure we’re all aligned to that strategy, while externally I help coordinate growth opportunities that make sense within the strategy. To date, my focus has been mostly internal. AEVEX is a relatively new company born from the merger of three great ISR firms. Getting us successfully rebranded and culturally aligned has been a challenging but truly exciting task. I spent my early years in the Air Force aviator flying intelligence, surveillance, and reconnaissance missions around the world in the RC-135. Later, I spent time in the flight test and acquisition communities working hand-in-hand with the contractors that deliver our warfighting aircraft. Like any old guy in the military, in addition to flying, I also had a fair share of headquarters staff jobs working things like requirement prioritization, long-term planning, and budgeting. There isn’t a lot of them that I can talk about here, but there is a story in particular that really stuck with me that I can discuss. In 2011, I was stationed at Pacific Command Headquarters in Hawaii when that massive tsunami hit the Pacific region — the loss of life and devastation was just mind boggling. But amidst seeing all that pain, I learned some amazing things. First, watching the senior leadership in Pacific Command was something I’ll never forget. These generals and admirals, to a person, were amazingly calm and focused on solving problems…even when the problems were piling up much faster than they could be addressed. Amidst a tremendously chaotic crisis where accurate information was scarce, they methodically and coolly tackled one issue at a time and made smart, logical decisions. Thousands of people were dead and dying, but they kept their composure and solved problems. The way they handled themselves was contagious and set the tone for everyone beneath them, and I’m convinced it saved thousands of lives. I wish everyone could witness grace under pressure like that. Second, the crisis gave me a deep appreciation and admiration of what our nation, and particularly our military men and women, will do to help those in need. All across the region, from Navy aircraft carriers to Air Force jets to Army helicopters, everyone dropped what they were doing and reacted immediately to provide desperately needed help wherever they could. It’s easy to associate our military with combat, but seeing the might of our nation’s military come to the aid of those countless, sufferning people was eye-watering. To this day, I’m incredibly proud to have been a small part of America at our humanitarian best. Well, we’ve all heard countless stories about our military heroes. Thankfully our nation just keeps producing young men and women who hear a higher calling and back it up by putting their lives on the line for all of us. One of those young people was a friend of mine named Mark Stratton. After flying RC-135s, Mark ended up with a Pentagon job. In 2009, he deployed to Afghanistan as commander of a Provincial Reconstruction Team. These teams were created to help Afghan communities with development projects such as building roads and schools, expanding medical services and providing electrical power. On May 26th, 2009, Mark and two others died when a roadside bomb exploded. He left behind a wife and three children. Mark and so many others like him volunteered to leave a happy, safe life to make the world a better, safer place for others, and he gave his life doing it. He is a hero in every sense of the overused word. Trust me, America keeps building more Marks, and all of us should be eternally grateful for that. To me the definition of a hero is simple: Someone who puts others above themselves for no reason other than it’s the right thing to do. They don’t. Putting one’s self in harm’s way physically is obviously the most visible and dramatic example, but there are plenty of others. As a case-in-point, a few years ago I commanded a young Air Force Airman who came forward and reported a sexual assault knowing that it would begin an incredibly difficult legal process. To ensure justice and the safety of others, she endured many months of unbelievable, public trauma…all in addition to the assault itself. This young woman faced it with a courage, grace, and determination that awes me to this day. That’s what heroes do, and she personified it. I firmly believe leaders need to find optimism in everything, particularly when nobody else is. I’ve found it to be contagious and often the best path through a nasty storm. People emulate their leadership, and relaxed, confident people simply solve problems better than those facing fear and doubt. In that vein, there are few leadership tools as powerful and underutilized as a smile. Leaders rarely have complete, accurate information, so underreacting to both good and bad news is so important. We can always react more later when we get more clear, but we can never take it back when we misfire. One bad leadership reaction to bad news often means the end of hearing ANY bad news…whether it’s happening or not! People are smart. If things get worse for them because they told us something, they’ll simply stop telling us. Leaders shouldn’t get any easy decisions. If we get a problem that’s easy to solve, it generally means someone else should have solved it. This obviously means preparing, delegating, and trusting. It also means being mentally, physically, and emotionally prepared to deal with difficult issues all day, every day. It’s why we are there! I’ve found that when things go wrong, it’s rarely because people weren’t smart enough, didn’t care enough, or weren’t trying enough. It’s usually because the communication got garbled somewhere. I think it’s so important to constantly “mind the comms,” and insist those around you do the same. Did they REALLY understand what you think you said? Take excruciating care that they did. We all need to acknowledge our ego and know when it’s taking us off course. I’ve seen far too many cases of smart, well-meaning people derailed by the need to feed their self-importance. I spent time in an Air Force organization that lived by the motto, “It’s amazing what can be accomplished if you don’t care who gets the credit.” It’s so true and much too rare. Do you think your in the military helped prepare you for business? Can you explain? I sure do. Leadership is leadership…and leadership means people. In the Air Force, I was responsible for some incredibly complex aircraft and missions…but I learned, often through a lot of trial and error, that I wasn’t there to lead airplanes or missions. Once you break the code that it’s not all about people, it’s ALL about people, amazing things begin to happen. I have countless more things to learn about the business world, but I do know that the most important things I’ll do won’t be about marketing techniques or profit margins…it’ll be about the men and women making it happen. Compared to many military veterans that faced harrowing experiences in combat, I was lucky and never really had post-deployment problems. However, the soldiers, sailors, airmen, and marines that I’ve seen best handle these types of stressors usually did the same thing…they came forward and got needed help. Our country has thankfully developed a much more robust transition structure for our military folks, and I’ve seen it do wonders for so many people. I need to add that I’ve always had a very unfair advantage…my wife. Aimee is simply the best military spouse in the world and has been the absolute foundation of our family navigating a very unique life. As I mentioned, I’m pretty focused on helping our company establish a new identity and culture born from the three companies that formed it. It’s exciting to see people excited for what they are now a part of. I firmly believe that everyone naturally wants to feel like an important part of a big, meaningful endeavor. That’s an easy sell at AEVEX, and I’m having a blast doing it. Ensure you find a way to ensure everyone knows they are valued and critical to the success of the organization. It’s amazing what people will accomplish when they feel confident, indispensable, and appreciated. As leaders, this is Job 1 and should encompass a big part of everything we do. If we can accomplish and proliferate it, the rest is gravy. Oh yea, and have fun doing it. Humans, by nature, want to be happy. We need to get them there by starting with ourselves. For me, that means striving to stay balanced in life and keeping work in perspective. We’re in a very serious business, but there is no extra credit given for being unhealthy or miserable…quite the opposite. It’s certainly easier said than done, but I’ve found that long-term, high-functioning organizations almost always have balanced, well-rounded leaders. Two things: Optimism and patience. I found that as leaders move to larger and larger organizations, the challenges they deal with naturally get tougher and tougher. In turn, as it gets harder to be optimistic, it actually gets exponentially more important. Large groups clearly take on the personality of their leadership. The catch is that when the organization gets big, often that happens out of sight and earshot of the leader, so it gets easy to forget the impact of things like body language in meetings and random breakroom conversations. Those things always matter and need to be remembered. The second thing is patience. As boats get bigger, they turn slower, and so do organizations. What used to take hours might now take weeks or months, and that can be incredibly frustrating. The key is patiently keeping the message simple, consistent, and repetitive. There is rarely instant feedback and satisfaction when making a change in a large organization, but they do happen…just be patient! We’d run out of time before I could list all the people I’m grateful for, but I’ll mention a squadron commander named Joe Spivey. Joe was my boss when I was a very young lieutenant, a very long time ago. He taught me countless things that have stuck with me to this day…several of which I’ve already talked about. I guess the best leadership trait Joe taught me was to always strive to leave people in a better place than you found them. Regardless of the situation, no matter how bad things might be, when someone leaves your presence, they should be better off because of their interaction with you. So simple, so difficult…and so effective. Pure Leadership 101. I’m so incredibly lucky. I’ve had the privilege of spending my entire adult life serving a cause larger than myself. I believe putting on a uniform and serving our country is the most honorable, fulfilling, thing an American can do, and I’m humbled that I was able to do it for so long. And the luck continues. Today, I get to work for a company of 500 professionals dedicated to making the world a safer place by providing ISR capabilities to the same heroes from my previous life. And I get to be a little part of that. What a great way to get out of bed! I think if I had the power, I’d start a civility movement. I think today’s information overload has led to people shallowing their knowledge on subjects while deepening their passion for them. This, in turn, seems to have brought out a “my way or it’s wrong” in society that pits enemy camps against each other. Somehow, in that process, we’ve lost our ability to try to understand and respect each other as much as we should…and that has resulted in an erosion of basic civility. If we can disagree while continuing to have a heathy conversation, I’m convinced we can get to a better place…both in whatever specific issue we are discussing and, more importantly, as teammates in a society. Simple message: It’s easy to watch others and criticize them…greatness is reserved to those courageous few who climb into the arena and participate, regardless of the outcome. I love that quote, and I carry it with me everywhere. My son and daughter live that quote, and that makes me prouder than anything on Earth. Finally, an easy question! Roger Staubach. Growing up in the 1970s, I was a uber-passionate Dallas Cowboys fan, and Roger Staubach was my one-and-only hero. Later, as I learned more about his military service before playing in the NFL, my admiration grew. And even later, I found out he transitioned into being an incredibly successful businessman. A great friend of mine got me a signed Roger Staubach football a few years back as a going away gift. I’ve accumulated and moved many great farewell plaques, pictures, and trinkets over the years, but nothing gets taken care of with as much love as that football. Thank you so much for these amazing insights. This was truly uplifting. I’ve really enjoyed this. Thank you so much for the opportunity.